The first Volkswagen Passat hit the streets in July 1973, and - along with the original Scirocco and Golf - heralded a water-cooled front-wheel drive future for its maker, finally shaking off the long shadow that had been cast by the Beetle since before WW2. The first Volkswagen Passat was known as the EA400 before it was launched, and it was the replacement for the unsuccessful Type 3. In its first incarnation, it was little more than a badge-engineered Audi 80 B1, but offered in three- and five-door hatchback forms. Through the years, it's changed with market tastes - so those first cars were primarily hatchbacks, but in the second generation, a saloon version (originally called the Santana) was introduced to attract more conserative buyers. The third generation saw the Passat flip into a saloon, where it has remained ever since - even if it those early says of the B3, it wasn't quite the success its maker had hoped for it. 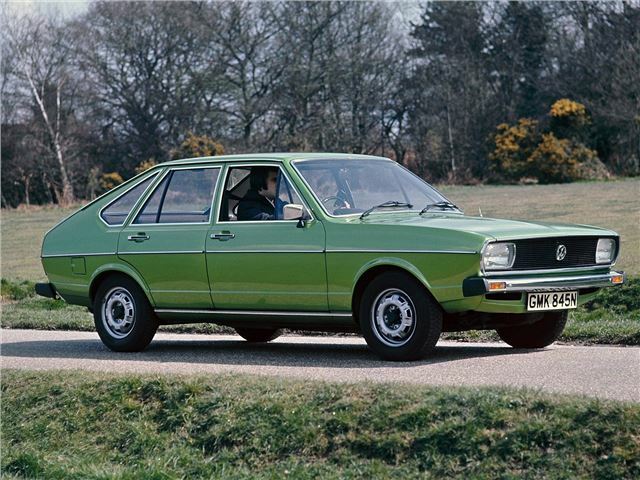 But the Passat went on to become one of the best-selling large saloons of all time, with more than 20 million produced. Enjoy the gallery, and consider just how well this unassuming saloon has moved with the times. The first Passat was a revolution for Volkswagen customers, even if it looked rather familiar to Audi fans. The early cars were available in 1.3- and 1.6-litre petrol powered form, but the range expanded to include a normally-aspirated diesel in 1975. Other new additions were a fuel-injected GLI version powered by the Golf GTI's 110bhp engine. In case you're wondering, Passat is German for 'trade wind'.